For most of us, the Christmas and New Year period is fun but frantic. We spend weeks rushing around shopping, socialising – and skimping on sleep. Perhaps it’s no surprise, then, that so many of us fall ill at this time of year, just when we want to be at our best. High stress levels and a weakened immune system are not an auspicious combination. But there are plenty of ways to reduce your risk of getting ill this winter. And if you do succumb, there are strategies that can minimise your suffering, and speed up your recovery. First of all, know what you’re dealing with. Lots of people claim to have the flu, when really it’s just a nasty cold. That’s not to say that colds can’t be debilitating too. And there are some crossover symptoms. 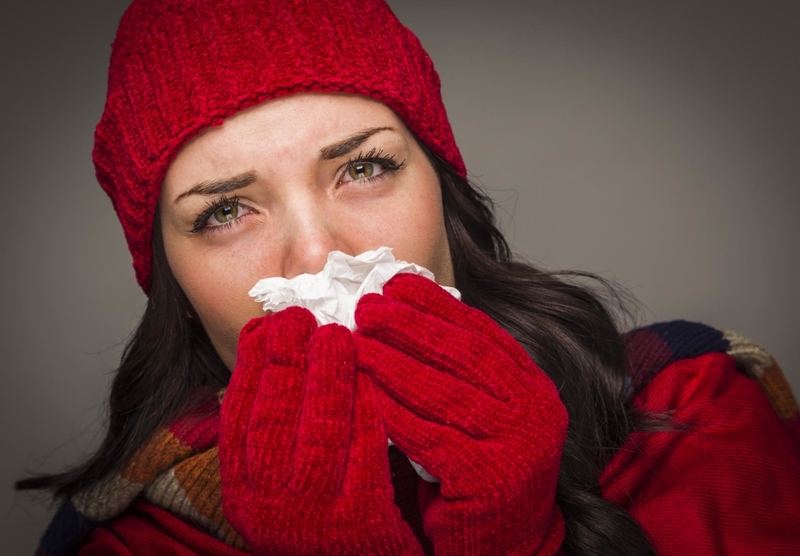 Classic signs of a cold include congestion, a runny or blocked nose, sneezing, a sore throat, and fatigue. These often appear gradually, but flu symptoms usually come on very quickly. Common signs include a high temperature, aches and shivers, and a headache. Difficulty sleeping, exhaustion, loss of appetite, nausea and even diarrhoea may also be experienced. Proper flu is much more severe than the common cold. If you catch it, it’s likely you’ll feel far too unwell to carry on as normal. Obviously, avoiding flu in the first place is far easier than trying to cure it. 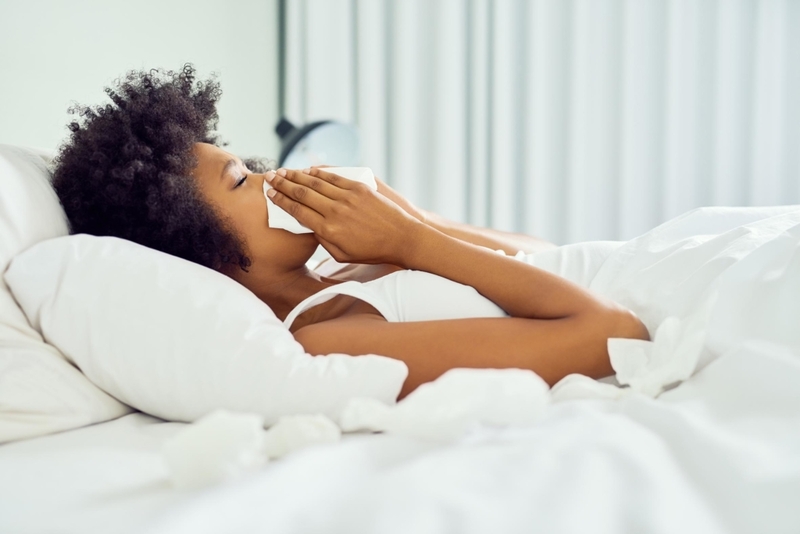 Flu is always unpleasant, but it can be dangerous for certain vulnerable groups, such as pregnant women and the elderly. Flu can also cause serious complications for anyone with an underlying health condition, such as asthma, diabetes or kidney disease. 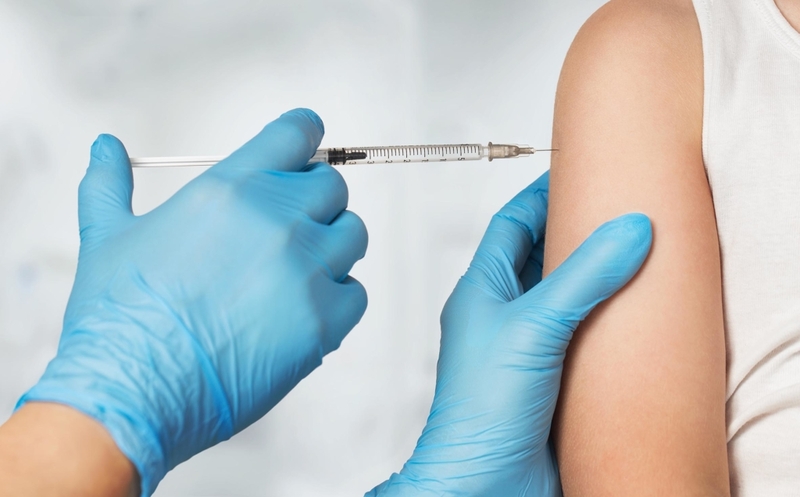 The flu vaccine is offered free of charge to people at risk. If that includes you, make sure you don’t miss out. It’s recommended for everyone aged 65 or over. And if you’re a carer for someone elderly or disabled, you should also get the jab. The best time to be inoculated is in the autumn. However, it’s still possible to get the jab later in the winter, so don’t panic if you’ve missed out. It’s worth remembering that it can take up to two weeks for your immunity to build up post-vaccine. And you will need a new vaccination every year, as flu strains mutate, and antibodies decline over time. But the flu jab is not the only way to minimise your risk of falling ill. First and foremost, practise hand hygiene. Think of soap and warm water as your new best friends. Channel your inner Lady Macbeth and wash your hands thoroughly and often. Carry hand sanitizer everywhere. Use it as and when required – and especially after a trip on public transport! And don’t neglect your computer keyboard (or your smartphone screen). Consider a daily clean for each during peak flu season, especially if you hotdesk. A recent survey revealed that the average workstation contains 400 times more germs than a toilet seat. Eww! It’s also time to get selfish about sharing, especially if someone in your family or at work is ill. Avoiding poorly people is obviously the best strategy, but that’s easier said than done in the real world. Instead, stick to your your own cups, cutlery and crockery. And never share towels, lip balms or water bottles. Encourage anyone that is ill to sneeze or cough into a tissue, rather than their bare hands. And then make sure they bin those infected tissues immediately. The stronger your immune system, the easier it is to repel the bacteria and viruses that make us ill. This is where a healthy lifestyle comes in. If you smoke, get help to stop. And while it’s easier said than done (especially around the festive season) try to avoid sustained stress. A healthy diet that features plenty of powerful antioxidants is another effective way to help keep yourself well. Stock up on fruit and vegetables, and remember to eat the rainbow. This does not mean you should start guzzling Skittles (alas). Instead, make a real effort to consume a wide range of multi-coloured foods. Different coloured fruits and vegetables feature different groups of nutrients, to help keep you healthy. Aim for at least five portions a day. If you’re having difficulty maintaining a balanced diet, consider taking a good multi-vitamin. And while it might not help you see off the flu, there’s evidence that zinc tablets may shorten the duration of a cold. It might seem counter-intuitive (especially in winter) but getting plenty of fresh air and exercise is vital. Help keep your immune system strong (and lower your stress levels) with regular exercise. You don’t have to run marathons. Even thirty minutes of moderate activity at least three times a week can make a big difference. Lastly, don’t skimp on sleep. It’s all too easy to burn the candle at both ends this time of year. But sleep deprivation will not keep you healthy. Give your immune system a chance to reboot with at least eight hours of sleep a night. Resist the lure of the latest box set, and limit your screen time well before your retire. Keep your bedroom cool, dark, quiet – and tech-free – to maximise sleep quality, and well as quantity. Unfortunately, there is no magic cure for the flu. But there are things you can do to help minimise the misery, and get better faster. You’ll need plenty of rest, and sleep, to recover from flu. Stay home, go to bed, and stay there. It’s really important to keep hydrated, especially if you’re running a fever. Sip water and warm fluids, especially chicken soup. It’s nourishing and easy to digest. It will also help to relieve congestion, and may even contain valuable anti-inflammatory properties. If it’s not contra-indicated for you, paracetamol or ibuprofen can lower your temperature and alleviate aches and pains. A mist humidifier or vaporiser can also ease a cough or congestion. It’s a bit of a truism, but the best treatment for flu is time. However, you should always get in touch with your GP if your symptoms seem severe or unusually prolonged. If your clothes are straining at the seams, why not start the year as you mean to go on? 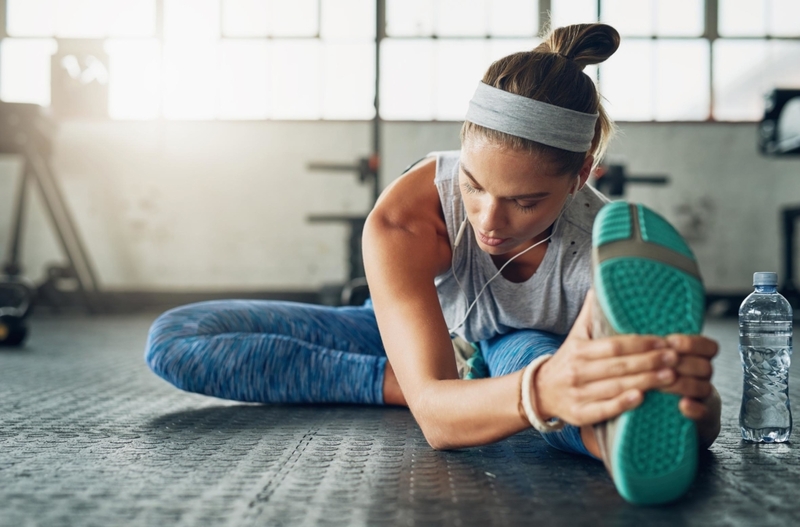 Read our blog on How to get lean in 2019 now!